Today, Bottleneck Gallery (in conjunction with Acme Archives and Lucasfilm) will release an awesome new movie poster for Star Wars: The Force Awakens by Adam Relf! Man, Relf seriously knocked it out of the park with this screen print. I love how he was able incorporate the film’s entire cast without designing a super busy layout. 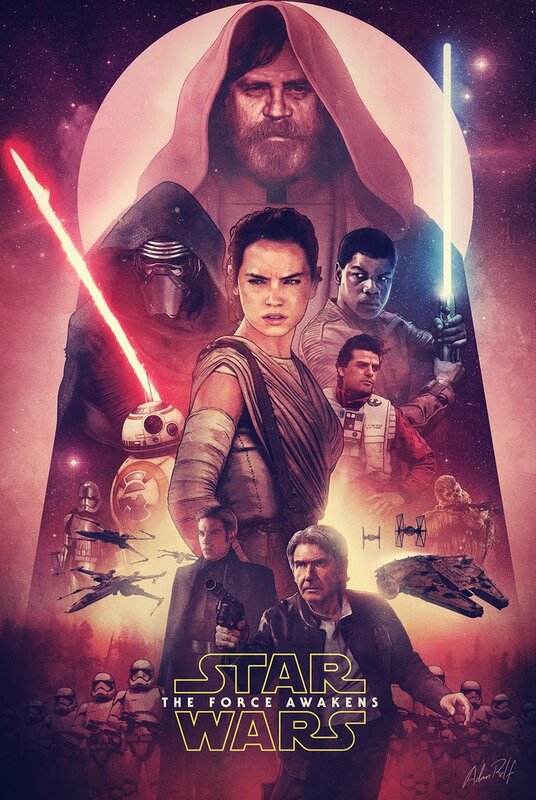 Star Wars: The Force Awakens by Adam Relf is a 24”x36” hand numbered screen print limited to 300 pieces. It will go on sale at 12pm EST today, Tuesday, November 15th, at the Bottleneck Gallery online store for $50.